We offer free UK delivery on all website orders. Price includes left chest embroidered logo or text. For multiple sizes select “Various” from the sizes option and let us know your size split in the checkout notes. Is your design for the free left chest embroidery a new logo, a previously ordered logo, or text only? Please upload your image above. We will provide a digital visual by email for you to approve or amend before we begin production. If you would rather provide your logo by email simply place your order and we will be in touch by email. There is a one-off set up fee of £20+VAT (£24.00) for new logo designs to be digitised for embroidery. This will be invoiced seperately via PayPal. Future orders with the same embroidered logo will incur no further set-up costs! This is a one-off fee. Please give some details on your repeat logo. There are no set-up costs for repeat designs. Designs are kept on file for future orders and incur no further set-up costs. Please use the above form to tell us about your requirements, including the content and any fonts you may have in mind for the text. Based on your requirements we will provide a PDF visual for you to approve or amend before we begin production. There are no set-up costs for text only designs, we offer this free of charge. Please add your order to the cart, you can confirm quantities and receive your bulk discounts on the next page. Air jet yarn; softer feel and no pilling. 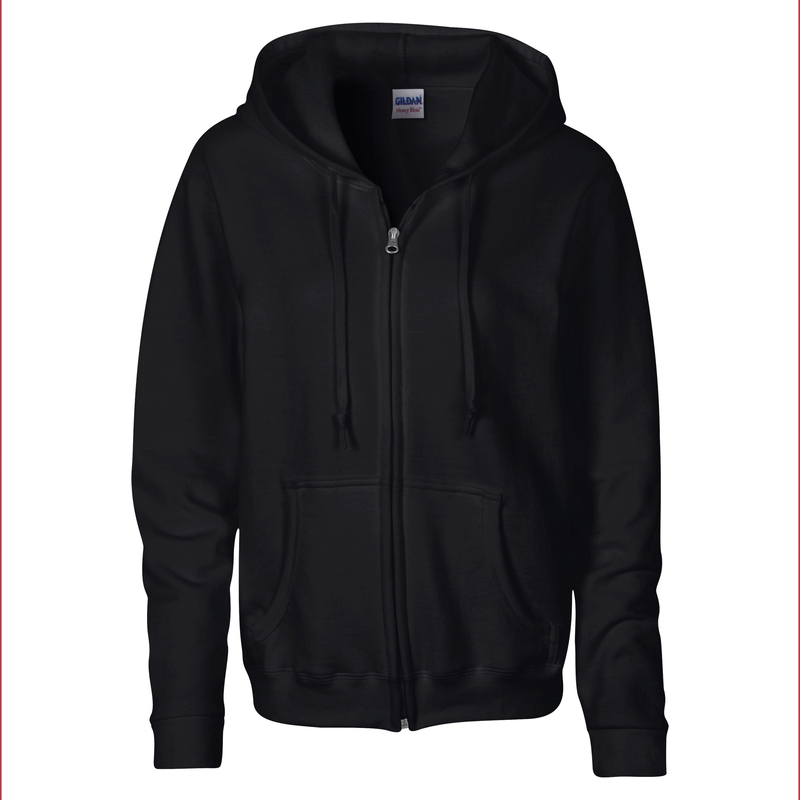 Unlined hood with colour-matched flat drawstring. YKK metal zipper. Overlapped fabric across zipper allows full chest printing. Pouch pockets. Three needle topstitched hood, pocket opening and waistband. 1×1 athletic rib with Spandex. Quarter-turned to eliminate centre crease. Also available in kids hoodie.